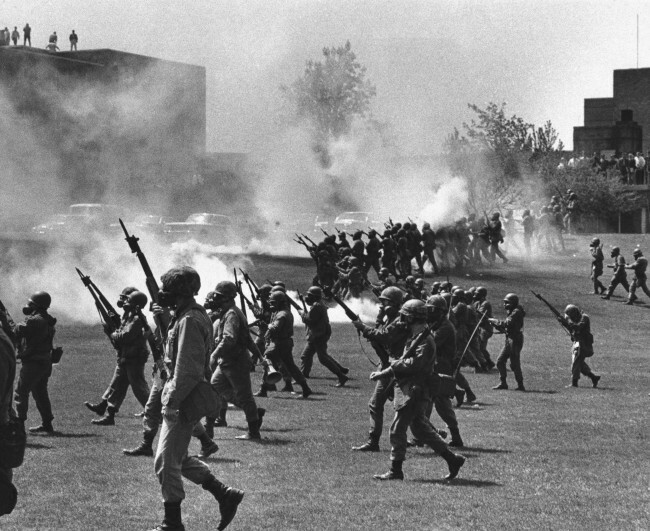 Kent State is the place where on May 4, 1970 four students were gunned down by the Ohio National Guard during Vietnam War protests. 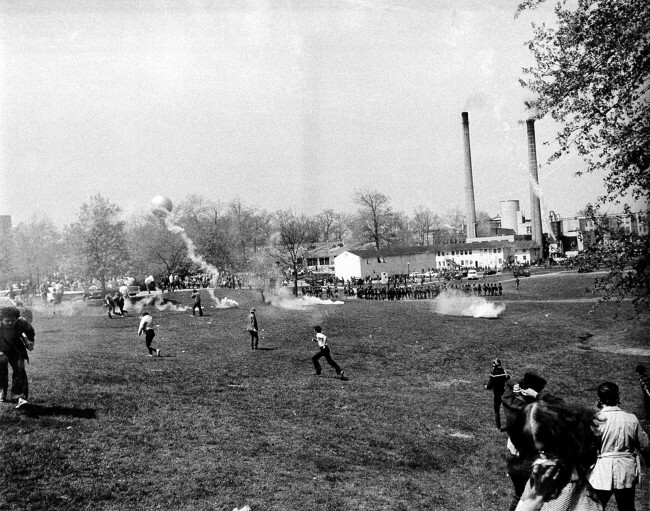 Ohio National Guardsmen throw tear gas at students across the campus lawn at Kent State University during an anti-Vietnam War demonstration at the university on May 7, 1970. 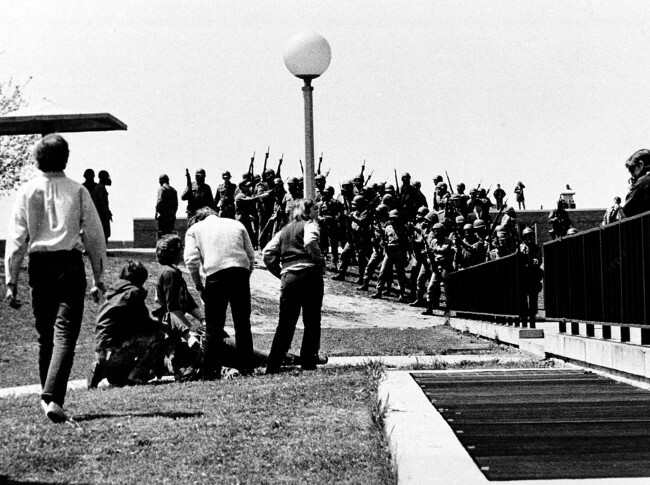 The Guard killed four students and wounded many more. 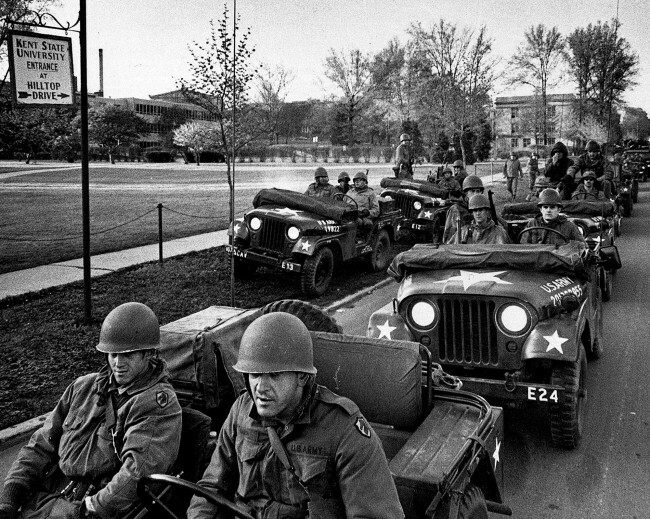 Ohio National Guardsmen patrol the empty Kent State University, Ohio campus after a three-day riot with students in this May 6, 1970 file photo. Is it what the killed would have wanted? 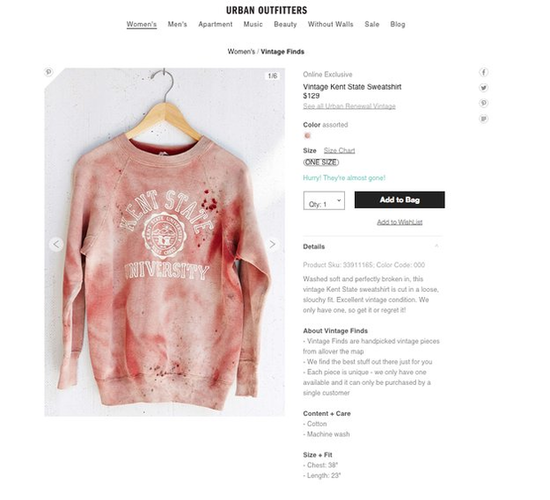 Is the shirt made in Vietnam? Apline Knits: snow white wollens mixed with red ribbons to salute the avalanche at Val-d’Isère, France, that killed 39 tourists. Diced carrot-motifed drainpipe jeans revisit Jimi Hendrix;s lat moments in London.